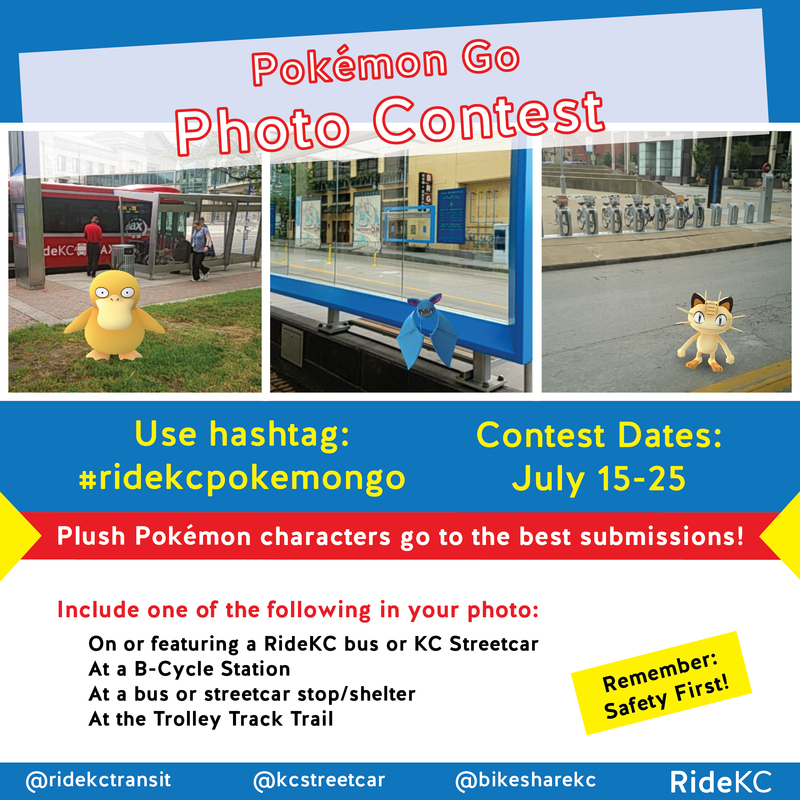 Do you have what it takes to win the RideKC Pokemon Go Photo Contest? Post it on Twitter, Facebook, or Instagram, using the hashtag #ridekcpokemongo. Make sure it is publicly viewable, so we can find your great captures. WIN: Plush Pokemon characters go to the best submissions. Winners will be contacted via submitted social media platform. REMEMBER: Safety first when on RideKC or walking around. Do not be distracted while walking. While buses and KC Streetcar are moving, exercise caution. Stay seated or hold on to poles. Never drive and play Pokemon Go.